The other night after my husband came home from work, our family gathered around the table and ate a simple Peruvian dinner of chicken, rice, potatoes, and salad. Together with our two little girls, we talked about the nation of Peru, learning some basics about their culture. We located Peru on a map (it’s in South America!) and listened to a song in Spanish. (We may have danced along with it!) Then we prayed for the people of Peru before heading to bed. It was a sweet, meaningful, and simple time, and I’d love to empower your family to do the same. Today I’m thrilled to share the first installment of a new resource called Around the World from Your Living Room. It’s a simple series that I’ve put together providing resources for a meal, activity (like a craft or game), and prayer for different countries. Your family (or small group, or Sunday school class, or whatever) gathers together for an hour or two to focus on a country. You’ll prepare a simple meal together from that country, using easy-to-find, real food ingredients. As you eat, you’ll learn about the country. Then you’ll do a craft or play a game originating in that country. Finally, you’ll gather together to spend a few moments praying for the people there. Today I’ll be sharing a guide for Peru, and in the months to come, I’ll share about several more countries. I have traveled to Peru twice, so I was especially excited to share about Peru with my family and all of you! First, talk with your children about Peru. Look at some of these facts together. You can also view some photos of Peru from National Geographic… I particularly enjoyed the “Faces of Peru” slideshow. Overview: Peru is a beautiful, mountainous country with a rich history, known as the seat of the Incan empire in the 1500s. Peru is famous for housing Macchu Pichu, an ancient palace for the Incas, located high in the mountains near Cusco. Most Peruvians face poverty, though for the past years they have had a good economy under good government. Location: Peru is on the coast of South America, bordering Ecuador, Brazil, and Bolivia. Language: Spanish is the most common, but a small population speaks Quechua. Weather: Near the coast, Peru has mild weather, with warm summers and cool winters. In the mountains, it can be very cold, though there is rarely snow except on the very top of the Andes mountains. Peru is located south of the Equator, which means summertime happens in December/January/February and wintertime happens in June/July/August. (Many of this information was found at the CIA World Factbook). Peru is known for many delicious foods, but a typical every day meal includes chicken, rice, potatoes, and salad… plus perhaps some Inka Cola soda to wash it down. Roasted chicken. You can make a roasted chicken yourself (a whole chicken or just parts like the legs and thighs). Here’s a recipe I like (but you can skip seasoning it two days ahead). We purchased a whole chicken from El Pollo Loco (a fast food chain in our area), or a rotisserie chicken from your grocery store works, too. Here is a recipe for baked French fries. I sliced two potatoes lengthwise into “French fry” shapes, tossed them in some olive oil, then put them in the oven on 400*. But, I had to go pick up the chicken… so, I just turned off the oven a few minutes into cooking, and let the potatoes sit inside for 30+ minutes while we were gone. They turned out great! Chop up some iceberg/romaine lettuce for a salad. Top with shredded carrots and tomatoes. For dressing, you can make this cilantro avocado dressing… or if you go to El Pollo Loco, just ask for a side of their avocado dressing – it’s very similar! Alternatively, look for a bottled avocado and/or cilantro dressing (Trader Joe’s carries a cilantro dressing in their refrigerated section.) Or just use ranch! Make a batch of white rice using your normal method. We use a rice cooker. If you are willing to spend a little more time on it, this simple recipe for Peruvian white rice with garlic and lemon juice sounds delicious. Even if you usually eat brown rice (we do! ), I highly recommend white rice so it’s a more “authentic” experience. Your local grocery store may carry Inka Cola, especially if you live in an area with a larger Latino population. I found some at Target. Inka Cola is a staple of Peruvian culture. It is a caffeinated, BRIGHT yellow soda and tastes just like bubble gum. We didn’t buy any for our dinner because my husband hates bubble gum flavoring and our girls are too little for soda yet. But, it will definitely give your meal a genuine Peruvian flavor! Alternative: Check if you have a Peruvian restaurant in your town… many communities do! The Nazca lines are a famous location in Peru featuring incredible, huge sand drawings of animals and shapes, somehow created by an ancient civilization. To learn more about the Nazca lines, click here. The Nazca lines were likely made as an offering to ancient gods. You could talk with your children about how we worship the One True God. You could talk about creating your art project to worship God, our Creator. Inspired by this site, we made sand pictures in honor of the Nazca Lines. Look at photos of the Nazca Lines. You can look at this page for examples (or just google “how to draw the Nazca lines” and view the images that appear. Have your child draw a picture with a pencil or marker. Younger children can draw any shape; older children may want to draw an animal that looks like the Nazca lines. Sprinkle sand (of any color) over the glue, then shake it off into a trash can or a piece of paper. Let dry. Tip: We didn’t have any sand, so I actually used unsweetened Kool-aid mix instead. It worked at first, when it dried, it “melted” a bit. My preschooler wasn’t picky, but an older child may prefer the precision of colored sand. Alternative: you could just print out this cute llama coloring page and color it. As a family, spend a few minutes praying for Peru. If you have a globe or world map, locate Peru and have each family member place a finger on (or near) the country. You can lead the prayer, or invite each family member to pray about a specific request. Your prayer time does not need to be lengthy! Don’t feel intimidated by thinking you need to pray for 10-20 minutes or more. Just a couple minutes focused on these requests, or others that come to mind, is fine. Economy: The economy in Peru has been improving, but 25% of Peruvians still live in poverty, surviving in shanty-towns without electricity, running water, or other basics. Pray for job opportunities and for hope for the people there. Religion: Many Peruvians are Roman Catholic Christians, but not all are actively practicing in their faith. Pray that Jesus would be a real, daily presence in their lives. Health: Malnutrition rates in Peru have been dropping, thanks to government campaigns to teach good hygiene and provide clean water. Pray that this continues! History: The Quechua are a native tribal group (you might think of them as “Native Americans” or “American Indians.”) Missionaries have worked hard to translate the Bible into their language and to bring Christ to this group, and God is transforming the Quechua! Pray that He would continue to be known among them. (I found this request on Operation World). Ministry: Pray for local Peruvians who are reaching out within their own country, offering physical and spiritual support. Pray for the ministry of Krochet Kids as they provide jobs making knit hats and help support a community among the women who work there. For additional prayer requests, visit Operation World. The Goodfellow Family works with Krochet Kids in Peru. Their blog has many pictures about their life in Peru, both every day life and their travels around the country. Did you spend an evening focused on Peru? I would love to see your photos or hear about your experiences! Leave a comment below or share your photos using the hashtag #AroundtheWorldfromYourLivingRoom. Should I Send My Teenager on a Mission Trip? All month long we’ve been talking about ways to get involved in global missions with kids. Today I want to address a pretty typical way for young people to be involved in missions: going on a mission trip! When I was 13 years old, my older sister started getting brochures in the mail from Teen Missions International, an organization that leads summer-long mission trips around the world. I poured over the brochures, reading about the building projects and evangelism trips teenagers could participate in. Every participant had to wear work boots and they were advised that most would have to take bucket showers. Then one day, an old friend of my parents, Jan, was in town on a business trip. At the last minute, we went out for Mexican food with her, and she shared about the ministry her family was involved with in Peru. Jan’s husband was a pastor, and they all would go down to Peru to serve at an orphanage and encourage some Peruvian pastor friends. I listened with great interest, but at the end of the evening we said goodbye, and that was that. Except that over Christmas break that year, I read God’s Smuggler by Brother Andrew, and my faith grew. I realized that perhaps God was using my parents’ reservations about a mission trip as the means to keep me from going on the wrong trip. I wrote about it in my journal, and I came to peace with not going on a mission trip until they saw fit to have me go. Within two weeks, we had received a letter in the mail from Jan’s husband, who was leading another mission trip to Peru, asking if anyone in the family, especially me, would like to attend. My mom read the letter and cried, saying she knew I was supposed to go. So that summer, my dad and brother dropped me off in Chicago and I traveled with the team down to Peru. For two weeks, we served at orphanages and children’s shelters, visited schools, and enjoyed fellowship with Peruvian believers. They are participating in God’s global mission in agreement with His heart for the world. It will likely change their worldview as they gain understanding of new cultures, economic status, and needs around the globe. It may increase their faith as they see God’s provision in a new way, deal with the challenges of poverty and suffering, and enjoy spiritual community with their teammates. It may offer them new friendships with teammates and with local Christians in the area they serve. It may inspire future language learning, an interest in international studies, or a desire to serve in full-time Christian ministry. safety – will my child be safe? cost – how will we pay for the trip? Safety: Generally speaking, mission trips are safe, at least as safe as any other youth ministry activity. Of course, you’ll want to check the State Department’s travel recommendations for the particular region. I encourage you to really pray about this trip. Is this the Lord’s will? I remember a line I learned on my first mission trip to Peru: “There is no place safer than in the center of God’s will.” Is this a guarantee against physical peril? Certainly not! But it is an encouragement that His all-surpassing peace and faithfulness accompanies us everywhere. Cost: Likewise, I encourage you to consider the Lord’s provision. If this is His will, He will provide the funding. Perhaps that will be out of your own budget, or perhaps through donations of friends, family, and fellow church members… most likely, a little of both. Who is hosting the trip? Do they have experience leading a mission trip? What is your child’s temperament? Will they enjoy being away from home, in new conditions and a strange environment? Yesterday I wrote a lengthy post about some general considerations regarding short-term mission trips. I encourage you to check it out if you want more to think about regarding the pros and cons of mission trips, and some recommendations. Think about going on the trip yourself. I’m usually not a big fan of “helicopter parenting,” but if possible, I would encourage you to consider participating in the trip with your child. I don’t suggest this because of safety, but rather because this will likely be a big experience for your child, and it would be nice for them to have you (or another trusted adult, like an older sibling or grandparent) along for the sake of the shared experience. A few years ago my mom and brother joined me on a day trip to Mexico, and I’ve also gone on a lengthier house-building trip with my sister. Both of those memories are special to me, and it helped me to be able to have that experience with someone close to me! Send your child on an inter-generational trip (not just teenagers), if possible. I have been on both teenager-only trips (of course, there were adult leaders, but everyone else was a teenager) and inter-generational trips (people of all ages – teenagers, younger adults, and older adults), and I encourage you to consider an inter-generational trip. Generally, a trip with multiple generations affords a richer opportunity for mentorship and wisdom from the older members of the group. It also is likely to be more “missions-focused” and perhaps less focused on friendship-drama, relationship-drama, or other issues that can be more present in a trip just for teenagers. Prepare your teenager ahead of time. Hopefully, the team leader is doing training and preparation, including cultural training and lots of prayer. If not, consider partnering with your teenager to do some training of your own. A great place to start would be reading and discussing Serving with Eyes Wide Open by David Livermore together. Be an encourager and prayer warrior during the trip. If you’re not going on the trip with your child, be prepared to encourage and pray for your child! Ahead of time, you can write letters for your child to pack in a suitcase and open each day they’re gone. I’ve had friends and family members do this in the past and it’s such nice encouragement and a reminder to stay”grounded” even when I may not be feeling well, am tired, or am frustrated with a team member. Also, if your child will have access to the internet, a daily email will be a great encouragement. Don’t expect your child to communicate much with you, however, and I would encourage you to not send them with a full-capacity cell phone while they’re away. The purpose of the trip is not to converse with you (or friends!) back home, but to focus on the task at hand. Be ready for afterwards. Homecoming is always the hardest part of a mission trip for me. First, there’s the physical stuff – I’m tired from jet lag, lengthy travels, and probably little sleep on the mission trip. My body is getting used to eating our food again. Second, it’s emotionally difficult, as I’m facing a totally different “world” than what I was used to on the trip. Not only is our culture different, but on the mission trip, I formed bonds with my teammates and am now sad to miss that community and comraderie. Third, I’ve just had this great experience, and I come home, and not many people want to talk about it! Be aware that your teenager is going through these issues (or others not listed)! If possible, clear your teenager’s schedule and your own schedule for a few days. If they want to sleep and veg out, just watching TV or hanging out, that’s fine. They may be excited to spend time with friends. Set aside a time to look at photos together or hear memories from the trip. Then, keep asking. They may not want to share everything right away. Ask in a week, a month, two months, if they have more memories to share or things they are missing from the trip. **Have you ever sent a teenager on a mission trip?Did you go on a mission trip as a teenager? Leave a comment below. Go and Make Disciples… in Two Weeks? Mission Trips as a Family? Have you ever been on a short-term mission trip? If you have children, have you ever considered taking them on a mission trip with you? I’ve been on many mission trips through the years, to places like Peru, China, Poland, Hungary, and Mexico. Marla Taviano took her kids to Cambodia, and they liked it so much they moved there as long-term missionaries! Tsh Oxenreider from the Art of Simple took her family on an around-the-world trip that was part vacation, part education, and part service to others. I’m not sure that there are any hard-and-fast rules about taking your children on a mission trip… so much will depend on your particular children, where you are going, and what you’ll be doing. If you have a specific question, feel free to leave a comment below and I’m happy to let you know my thoughts. So, today I want to talk about just some general thoughts on short-term missions. I’ll warn you – this post is quite long. I’m intending it for those who might be very interested in thoughts about mission trips. If you’re not interested, no problem! Check out some other ways to be involved in global missions with kids here. Should We Go on Short-Term Mission Trips? In recent years, some have criticized short-term mission trips, wondering their value and whether they cause more harm than good. I’ve been one of those critics – during my final year of college, I did an extra project all about short-term missions, questioning whether we as Western Christians should keep doing them. Spoiler alert: I think we should still do short-term missions. A fifteen year old girl, camera and bag of souvenirs in tow, walks out of the secure area of the airport and into the arms of her parents, anxious to see their daughter after her two-week mission trip to Africa. They ask her about her experiences, and she describes, “It was wonderful! I held this little boy at an orphanage for two whole hours, and I can just tell that his life was totally changed because of me. It was kind of hard because I don’t speak their language, but my group and I learned how to say ‘Jesus loves you,’ in their language, so I’m sure that lots of people learned about Him from us. Scenes like this occur at airports around the United States throughout the year, as short-term mission trip participants of all ages return home and tell others about their experiences. Their testimonies make short-term missions sound godly, adventurous, and fun, and partly based on their stories, people continue to participate in short-term mission trips. Unfortunately, these reports of short-term missions frequently focus on or even overestimate the positives without considering some of the negatives. There are numerous reasons or goals for short-term missions, and it is not always clear if the goals are being accomplished. Some wonder whether short-term missions is truly as effective as many claim it is, while others question who should be the focus of short-term missions: the participants or the recipients. The Bible indicates that God’s people are called to show His love and do His work cross-culturally, and short-term missions is one way (but not the only way!) that can be done. The Gospel of Jesus can be spread through mission trips. Through drama and puppet presentations, day camps, distributing hygiene kits, or operating a soup kitchen, teams can bring the message of Christ to the people they encounter. Mission trip participants can improve the welfare of people they meet. They may focus on housebuilding, medical missions, or food distribution. In many regions of the world there is a need for relief or poverty alleviation, and many short-term teams are able to help with poverty issues in powerful ways through their work. Christians of all ages can grow spiritually and emotionally through a short-term missions experience. Many long-term missionaries are recruited through short-term experiences. Even if they never return to the foreign mission field, short-term mission participants can be excellent informers and supporters of missions back home. Participants have seen first-hand what needs to be done, and their stories can often reach friends, family, and church members much more effectively than a long-term missionary who does not have the same direct connection to a congregation. They are able to tell their congregations how to pray, because they have specific names and needs rather than simply a vague, general prayer request for a career missionary on the church prayer list, and they are also able to encourage others to continue to support missionaries and their work financially. Short-term missions enables laypeople to be directly involved in carrying out the Great Commission. It does not require extensive training for participants. The short-term missions movement has been extremely empowering for laypeople by showing them their role in the priesthood of all believers, meaning that all Christians, not just professionally trained ones, are able to serve God’s kingdom. In short-term missions, nearly any Christian can be a participant in mission work. Short-term missionaries can encourage long-term missionaries and help meet a specific need. Short-term teams can meet a specific need for a long-term missionary, like providing the manpower and funding to build a new church fellowship hall or running a Vacation Bible School program. Long-term missionaries can also find great encouragement in simply having someone visit them from their country of origin and show that someone cares about the missionary’s work; in a ministry where discouragement and loneliness is prevalent, this can be a huge boost in energy and enthusiasm for the continued work of the long-term missionary. Mission trips carry out the “mutual encouragement of believers” described in Romans 1:11-12. Sometimes short-term mission trip participants overestimate their spiritual impact. They often don’t have language ability, they don’t have long-term commitment, and they may not know the culture of the people they are reaching. Cultural barriers can be hard to deal with in a lifetime of mission work, and infinitely more so in a short-term setting. Unfortunately, short-term teams do not always do necessary or effective work as they seek to improve the welfare of others. Sometimes, mission projects are initiated by the participants, rather than nationals within the country. Westerners think they know how to help, so they think they are bringing a valuable economic resource, like a new home, food, or toiletry items, when in truth, the people living there did not want or need that economic resource. Westerners can have a patronizing attitude, thinking we’re the great American saviors, without respecting the culture we’re meeting. Short-term missions experiences can result in a spiritual “mountain-top experience” where participants come home with aspirations of a changed life, but typically don’t end up making many changes. Short-term mission participants often are unequipped, receiving zero-training before their mission experience. Short-term mission teams likely mean more work for the long-term missionary hosts. Along with their encouragement and enthusiasm, short-term mission teams can bring grumbling first-time travelers, people naturally insensitive and unaware of cultural issues, and the need for the long-term missionaries’ time. Short-term missions can be too focused on the participants rather than the receivers. Some wonder whether the cost of a mission trip (flights, hotel rooms, food, passports) would be better donated directly to the people being served. 1. Train short-term mission participants before their trip. Training should include education about culture in general and the destination culture in particular. Training can help participants nurture their spiritual growth and teaches people about missions. Depending on the situation, training can take place in different formats, for example, as a weekly class for several months before the trip, or as a three day intensive training session at the beginning of the trip. I recommend at least 10% of the length of your trip be spent in training beforehand. So, a 10 day trip should include at least one full day of training beforehand. A 10-hour day trip to Mexico should include at least an hour-long training ahead of time. Note: this is training, not just information about what to pack or what to expect. 2. Partner with nationals in the receiving country. Some of the problems with short-term missions, like the existence of unnecessary work projects, stem from a lack of relationship between the short-term mission team and a national church in the country where the short-term mission is taking place. There needs to be a partnership between the short-term mission team and national churches in order for effective short-term mission work to take place. Ideally, national churches should be at the forefront, and they should be the ones suggesting a short-term mission team be involved in some way. 3. Pursue meaningful missions experiences during the trip. Rather than settling for repainting a freshly painted church, mission trip leaders should intentionally pursue missions experiences that are meaningful for both the recipients and the participants. Trip organizers should work with their national church partners to develop projects that will benefit the receivers, rather than simply inventing something that may or may not actually help them. This not only serves the recipients, but the participants as well, as they see that their presence is truly making an impact in the lives of others. 4. Implement an ongoing missions ministry rather than simply taking once-a-year trips. Some churches label a two-week section of the annual church calendar “short-term mission trip,” and ignore missions the rest of the year. Churches should pursue an ongoing missions emphasis throughout the year through Bible classes, missions presentations, debriefing sessions for past trips, and support of missions through church ministries. Likewise, as a family, participating in missions year-round, rather than just during a mission trip, is key. I know of some great ideas for how to get involved in missions wherever you are! 5. Participate in missions wherever you are, both in your own community and overseas on a mission trip. While there are certainly people in need, both economically and spiritually, all over the world, there are also people in virtually every community in the United States that need to hear the Word of Christ and need to experience His love. In order to truly serve missions as a whole, Christians should be involved in missions both far away and close to home. 6. Debrief after the missions experience. The same 10% rule can be applied here – a 10 day trip should result in at least one day of debriefing… not just a rest or vacation day, but a time specifically devoted to thinking through the mission trip and praying about changes to make back home. 7. Seek excellence in short-term missions. In order to improve the quality of short-term missions, the people involved need to continue to aim for improvement. This involves diligence and dedication to doing short-term missions well. Seeking excellence requires time, and trial and error. It might mean writing goals for the short-term missions experience. It means evaluating motives. Before they begin, participants can ask themselves why they are going on this trip, and leaders can ask themselves why they are leading. They can evaluate if it is because of a sense of adventure, or because everyone else is doing it, or if it is because they want to serve God and others through their experience. Yes, We Should Continue Short-term Mission Trips! The demons go on to discuss how enough criticism might stop short-term missions altogether (something they view as positive, of course). The demons’ comments provide an important reminder to those that closely examine short-term missions: the negatives of short-term missions should not cause people to become discouraged and disillusioned and give up. Yes, there are flaws in short-term missions. Inexperienced trip leaders go without the right preparation, and participants join the team for the wrong motivations. Teams embarrass their long-term missionary hosts and exhaust the national churches trying to work with the short-term participants. Participants spend far too much time thinking about their own needs – including needs for photos and souvenirs – than they do thinking about the people they are trying to serve. Although they return back home vowing to change their lives as the result of their short-term mission experiences, their lives are back to normal within a few months. Yes, there are flaws in short-term missions, but in spite of all the mistakes that are made, God works anyway. Participants have the wrong motivations, but God uses them. Someone goes on a trip primarily because she wants to see the Great Wall of China, and God changes her heart to love the Chinese people. Leaders are unprepared to lead a short-term mission trip, but the team arrives home safely and happily at the end of the trip. As God’s people, let us strive to do His will with diligence and in a way that glorifies Him as we do short-term missions. Let us use our knowledge and intellect to study short-term missions and develop ways to touch people, using the knowledge He has given us. But in the meantime, let us not stop doing short-term missions. Let us not throw our hands up in the air and think, “If I can’t do it well, I shouldn’t do it at all.” Instead, let us continue to seek improvement, but let us remember when we do not do short-term missions well, that God “chose the foolish things of the world” and “the weak things of the world” to serve Him. In case you’re interested, my college paper can be viewed in its entirety here: Go and Make Disciples… in Two Weeks? Much of this post was gleaned from that paper. I highly recommend the work of David Livermore (he is heavily quoted in my paper) – he has many posts on his blog about “cultural intelligence,” a key factor in serving cross-culturally in any capacity. ** What are your thoughts and experiences on short-term mission trips? Leave a comment below. When I was younger, I somehow found out about the plight of the persecuted church. I began reading publications from Christian Freedom International, Open Doors, and the Voice of the Martyrs. I learned about the Karen people living on the border of Burma (Myanmar). I learned about Chinese people without access to Bibles. I began to pray for the persecuted church, read magazines about them, and asked for God’s Smuggler for Christmas one year. I even put together a proposal for having a display at our church during the fellowship hour with photos and stories about the persecuted church. Since then, the persecuted church has been a cause dear to my heart, even inspiring much of my call to serve in overseas missions, and I can trace the roots back to those early days. I was 12 when I learned about the persecuted church! I wasn’t an adult with an advanced understanding of the world and religious freedoms. I wasn’t college-educated, or even high school-educated. I was just an awkward middle school student with a heart for Christians living in tough situations. I share this story to encourage you to consider sharing about the persecuted church with the children in your family, or the young people you mentor. Even from a young age, children can understand, pray for, and make a difference in supporting our brothers and sisters in Christ. Learn about Christian persecution. If you’re unfamiliar with the concept of Christian persecution, you can check out this overview here. Read stories about persecuted Christians. Here are some stories and photos from Open Doors. Their World Watch List is worth exploring together with your children. Sign up for mailings or emails from Voice of the Martyrs and/or Open Doors. You can receive free books, posters, magazines, and other resources from these organizations. Both do a great job of educating you about the persecuted church. Share these resources with your kids. Read God’s Smuggler as a family. This story of Brother Andrew, a young man who took Bibles and other Christian literature behind the Iron Curtain of the Soviet Union, is interesting and inspiring. I haven’t read it in a few years, but I don’t believe there is any violence… only perhaps near the beginning when he is serving in the military. I would feel comfortable reading it aloud with my 3 year old, editing it as I read, if necessary. It’s available on Amazon, but is much cheaper straight through the Open Doors web site… not sure about shipping though. Explore Kids of Courage, a free web site for kids from Voice of the Martyrs. This resource is excellent! There are videos, stories, downloads, coloring pages… definitely worth checking out. Don’t traumatize your children. You know how much “graphicness” your kids can handle. Consider the level of violence of movies/TV shows/video games your child views, and match your descriptions/exposure to that same level as you share about the persecuted church. Even the youngest of children can be told there are places where it’s hard to follow Jesus, or where you get in trouble for following Jesus, without needing to know the gory details. Alongside your children, write a letter to encourage a persecuted Christian. Assemble an action pack together to send to a country where Christians are persecuted. Packs include clothes, toiletries, and a ball. Action packs go to Christians, while Outreach Packs are given to Christians to distribute to non-Christians as an act of love and outreach… neat! Give money to send Bibles to persecuted believers. 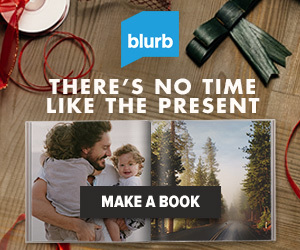 I appreciate this web site’s aim to give a personal connection with the person receiving the Bible. Check out this list from Kids of Courage for many more ideas for ways to help, recipes and crafts to help build a connection to another culture, and lots of other ideas. Fortify is a program by Open Doors, specifically for teenagers. 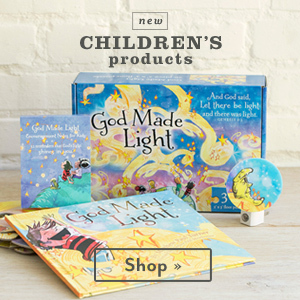 Open Doors has an online shop with a variety of resources. I liked these bracelets for $5, which I would guess elementary-age children might enjoy wearing in solidarity with persecuted Christians. **Do you have any ideas to add to this list? Leave a comment below. Babies and pregnant moms hold a special place in my heart. There is something so precious about new life coming into the world! Today I want to share some ways you and your children can bless pregnant moms and/or babies around the world. Most children seem to naturally enjoy babies, and many of you who are parents may find this fits in well with this stage of life as you raise your own babies or experience your own pregnancies! Donate to a Compassion Child Survival Program. These centers focus specifically on moms and young children, offering mentoring, check ups and assistance with birth, baby and toddler supplies (diapers, clothes, etc. ), emotional support, clean water, healthy food, and spiritual guidance. Child Survival Programs are located in places like Haiti, Bolivia, Indonesia, and Tanzania. Pray for ladies at the Heartline Haiti Birth Center. I’ve loved reading about this birth center where women’s practical needs are being met and lives are being saved as women and children receive great medical care in child birth. I remember reading that many women in Haiti don’t believe in breastfeeding, because they see formula cans with chubby American babies on the front, and believe formula is best. However, not being able to afford formula, they’ll just crush up cookies and mix it with (likely unsanitary) water, which makes the baby sick, and causes them to lose weight. Heartline offers breastfeeding support and helps moms after birth. Tara Livesay, who works at Heartline, posts photos of mamas to pray for at the birth center. Also, they keep an updated wish list of supplies that can be purchased and mailed to North Carolina so they can be delivered to Haiti… it would be fun to shop with your kids and pack a box together! Last week, Heartline was the recipient of an awesome “Love Flash Mob” – you can read the encouraging posts about what happened here and here! Amazing! Support the work of your local pregnancy care center. Contact a pregnancy care center in your area and see how you can help. They may be in need of diaper donations, translators, volunteers, baby-blanket-makers, or counselors. While your children may not be able to participate in all of these activities, find out if there’s a way you could work together to support a pregnancy care center. Put together baby care kits to send overseas. Lutheran World Relief offers instructions for sending a variety of kits overseas, including baby care kits. I’ve never put together these kits before, but it seems like with a little preparation, this would be a hands-on way to bless little babies (and moms!) overseas… great for putting together at a Sunday school class, scout group, homeschool group, or even a birthday party! The kits include baby clothes, inexpensive cloth diapers, pins, and soap. Alternatively, blogger Adriel Booker has info on birth kits you can send overseas. We tried to make these for Mother’s Day last year, but I flaked and never got the stuff for it! 🙁 Check out the instructions… I’d encourage you to email Adriel to make sure she is still accepting kits. Check out the Love a Mama Initiative. As I was looking at info for the birth kits above from Adriel Booker’s blog, I found this whole page of ways they have helped love moms, particularly around Mother’s Day. Such wonderful, practical ideas! Honestly, I’m not sure whether she’s still doing any of these endeavors, but if one of them captures your heart, I’d contact her! I don’t know Adriel personally, but I know she works with YWAM, which is a highly respected missions organization, and I love her heart for helping moms! **What other ideas do you have for blessing babies and moms around the world? Leave a comment below. Today’s topic is short,because honestly, I’m not an expert on talking about or helping poverty on my own, much less with kids. Every time we see a homeless person, I’m torn over whether we should give him a dollar, buy him lunch, send him to the closest shelter, or ignore him completely. It’s even worse when I’m visiting another country and see even more begging and poverty! So, I don’t feel like an authority on this topic by any stretch, but here’s what I’m going to do to learn more and try to tackle this issue… I encourage you to do the same!! 2. Get the Step into My Shoes curriculum from Compassion International. They sent me a free copy of it to review here, and it is amazing!!!!! I’m not quite done with it yet, so I’m going to do a whole post about it next month… I’ll be sure to link back here about it! – but I can confidently say: get it! It’s worth it. 3. Read When Helping Hurts: How to Alleviate Poverty without Hurting the Poor – and Yourself. I’ve started this book a few times but have never finished it… it’s just so good, I feel like I ought to savor it! This book is highly respected in the missions world, and I have a feeling it would give me the answer to my question about what to do when I see a homeless person. **How do you address poverty with your children? Leave a comment below. Disclosure: Some of the links below may be affiliate links. This means if you make a purchase after clicking one of the links, I may receive a small commission to help support this site, at no additional cost to you. If you are someone who mentors young people outside your own family – perhaps you’re a grandparent or devoted aunt, or you volunteer with your church’s youth ministry, or you serve foster children as a CASA… I hope that nearly all of the posts in the 31 Days of Global Missions with Kids will be helpful for you. I hope you might be inspired to put together an Operation Christmas Child shoebox with your youth ministry small group, or you’ll write to a Compassion sponsored child alongside your grandchild. 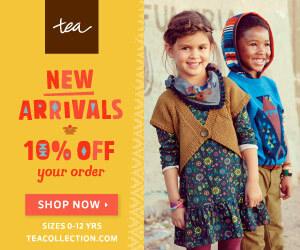 Maybe you’ll buy a fair trade gift for your nephew or purchase a Little Passports kit for the child you babysit. If you are an adult mentor, please know that my heart is for you! You are doing a valuable service as you teach, lead, and love young people, particularly those who are not your own children. How Can I Do Global Missions AS an Adult Mentor? A little different than the ideas described above, I have some additional ideas for ways you can do global missions as an adult mentor. These aren’t ideas for doing missions alongside the young people you mentor, but rather ideas for reaching young people by serving in global missions. In other words, if you are an adult thinking, “I’d love to make a difference in the life of a young person, particularly a young person from another culture and possibly living in another country,” here are some ideas for you! You’ll notice that many of the ideas are connected to ways we’ve already talked about serving alongside young people… now, we’re just considering how you can directly mentor the young people you are serving. View yourself as a mentor for your sponsored child. As you write letters and pray for your child, consider how you can serve as a mentor. Write words of encouragement and inspiration. Commit to writing regularly and encouraging your sponsored child. You could even consider saving up for a visit to your sponsored child in person someday! Sign up as an English tutor or English partner for a child who speaks English as a foreign language. Serve as a friendship partner to an international student, particularly one who is on the younger side, in elementary school, high school, or college. Host a foreign exchange student in your home for the school year. Occasionally this is even an option for just a brief period of time – some groups of elementary school students will come to the U.S. from places like China. They will stay for a couple weeks to learn and have fun. This would be a great way to try this out for a short period of time! Volunteer with a Backyard Bible Club in a multi-ethnic area of your community. Make an effort to get to know the boys and girls who participate. Are there any older children who participate in the club? Consider how you can raise them up as student leaders for the Backyard Bible Club. Go on a short-term mission trip that focuses on serving young people. In the past, I’ve helped with several English-language Bible camps in Eastern European countries. Middle school and high school students would come for a week to learn English, participate in Bible studies, and have fun together. This was a great chance to mentor these young men and women! **What ideas do you have for serving in global missions as an adult mentor? Leave a comment below. to build friendships with young people from all over the world, even people from countries where Jesus is totally unknown or even outlawed? to befriend the world’s future leaders – the children of top business leaders, government officials, and even royalty – from around the world? to do this right from the comfort of your own community, without ever spending a night away from your own bed, and without ever packing a single suitcase? if your children and teenagers could easily join you, meeting young people from another country and developing a global mindset in the process? In case you haven’t figured it out by now, all these things are possible through ministry to international students! An international student is a young man or woman who leaves his own home country and comes to the United States (or another country) to study. Most are university students, seeking an undergraduate or graduate degree, but some may be high school students or even elementary school students. Some international students come for just a single semester or year (similar to how we might participate in a “study abroad” program, while others remain to receive their full degree. Are international students really that important? Last school year (2014-2015), there were over 1.13 million international college students in the United States. International students come from places like China, India, South Korea, Japan, Malaysia, Saudi Arabia, Turkey, Thailand, Nepal, Iran, Vietnam, Hong Kong, Indonesia, Nigeria, and Taiwan. 60% of international students come from the 10/40 window – this is the area between 10 and 40 degrees north latitude that contains the majority of the world’s spiritually unreached people. In other words, most international students are coming from areas where most people do not follow Christ. 40% of current world leaders were international students in America. These are highly competent students whose families have the capacity to send them overseas. They will return home and be the “movers and shakers” in their homelands. inviting an international student to your home: for Thanksgiving dinner, for pizza on a Sunday afternoon, for a midweek meal… any of these options work! serve as a conversation partner, speaking in English with an international student for an hour or so each week over coffee, dinner, or a walk around campus. participate in international student friendship parties or special events. Many international student groups sponsor get-togethers, holiday parties, and field trips. You could join the group for one of these special events, or help with logistics like providing food or offering transportation for students. How can my children and teenagers participate in international student ministry? By nature, this ministry is a very easy way to include your own children or teenagers of any age. They can join you in befriending an international student, welcoming the student into your home for a meal or meeting students at a friendship get-together on campus. Your kids can show love to the international student the same way they’d show love to anyone: drawing pictures, playing games together, and praying for the student. I just recently heard about a group of women that gets together once a week at the state university in our city. They are the wives of international students who have come to California to receive a graduate degree – so many of these students are a bit older than a typical student, and have wives and families. Each week, they connect with friendship partners for fun, fellowship, and sometimes, a field trip. I’m hoping to participate, since it would be a simple way to get to know some young women from other countries. As their own children run around, I know my kids will be welcome too! The only exception to including your children would be formal English language lessons. While your children would obviously be welcome to practice English with an international student at home or a fun event, if you are getting together for a formal time to practice English as a conversation partner, I would leave your kids behind so they are not distracting. Beforehand, talk to your children about any fears or concerns they may have. Discuss that you may encounter new smells or new tastes. Your child may not be able to understand every single thing the person says – remind your child to speak slowly and clearly, as possible. Talk about some ways to meet new friends, like saying “hello,” shaking hands, and offering to play a game. I would imagine that most international students would be thrilled to meet your children!! In many countries around the world, children are highly valued. A student who is caught up in the stresses of studying and acclimating to a new culture will likely welcome the relief of a sweet child who wants to play a game, build with Legos, or color a picture. So, don’t feel bad about including your children – this is a great way for them to be involved in meeting someone from a new country! How do I get connected with international students? First, find out if your own church has a ministry to international students. I’ve recently heard two different speakers from International Students, Inc. and they seem to have a top-notch ministry doing great things. I was particularly impressed by how they meet students’ practical needs right from the start, offering transportation from the airport. International Student Ministry, Inc. is a ministry of the Lutheran Church-Missouri Synod. Intervarsity is a Christian college ministry for all students (not just international students), but they do have ministries specifically for international students, described here. Similarly, here is the Navigators’ ministry for international students. If none of those options work, you could just contact the International Student office at your local college or university. Let them know you’d be interested in building a friendship with an international student, and ask if they have anyone to recommend. **Have you ever been friends with an international student? Leave a comment below about your experience.